That is a good plan, Diggy. Even your cute little kid stories are a bit creepy. That's why we like them. Thanks. I hope it's not too spooky--this really is supposed to be cute fun. It all makes sense to me. 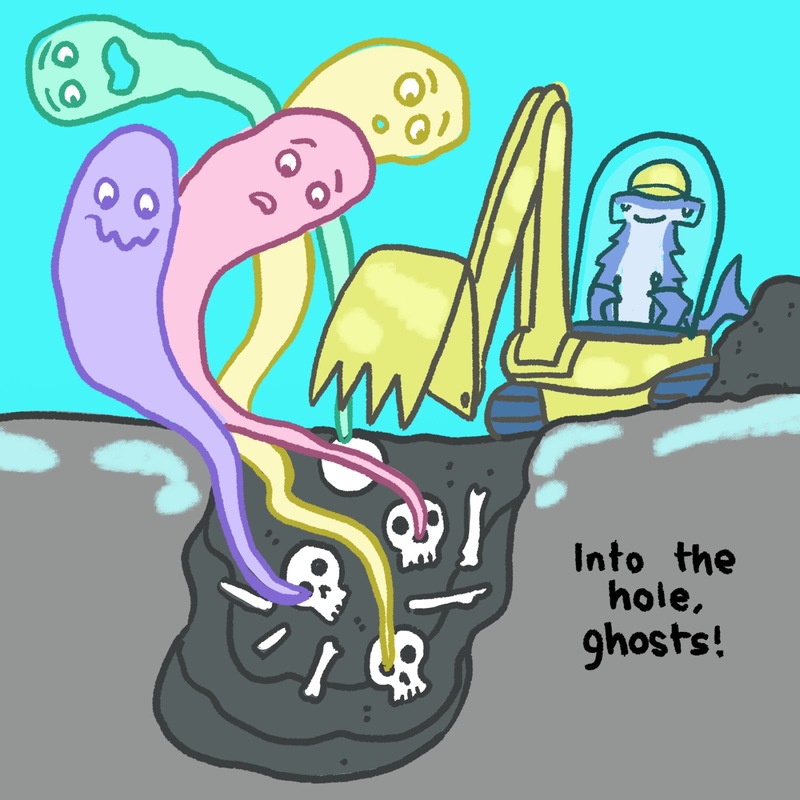 What else is a shark with an excavated going to bury--it's gotta be pirate bones.